Origen (Greek: Ὠριγένης, c.185 – c.254 C.E.) was one of the most distinguished theologians and scholars of the early Christian Church. He is thought to have been born at Alexandria around 185 C.E., and died at Caesarea around 254 C.E. Known for his brilliant and extensive writings, Origen also became famous for his voluntary castration and championing of the ascetic lifestyle. His writings represent one of the first serious intellectual attempts to articulate and defend Christianity. However, his exploration of concepts beyond mainstream thought raised questions about his orthodoxy later in his life. Eventually denounced by Christian authorities, Origen remains one of the most fascinating and controversial figures of the early Church. Although he was not ultimately called a Father of the Church due to lingering doubts of his orthodoxy, his impact on formative Christian thought is undeniable, and more recently some of his interpretive positions such as universal restoration are more sympathetically recognized as relevant to today's world community. The details of Origen's life are found in his biography as given by Eusebius of Caesarea (c.275-339) in his work Church History, written in about 325 C.E. He was educated by his father, Leonides, on scriptural texts that would later become the Bible, and in Greek literature. In 202 Origen's father was martyred in the outbreak of the persecution during the reign of Septimius Severus as Roman Emperor from 193-211. Origen wished to follow in martyrdom, but was prevented by his mother. The death of Leonides left the family of eight impoverished. Since his father's teaching enabled him to give elementary instruction, in 203 Origen opened a school of rhetoric. His fame and the number of his pupils increased rapidly, so much so that Bishop Demetrius of Alexandria implored him to restrict himself to instruction in Christian doctrine alone. Origen entrusted the teaching of the catechumens to Heraclas, the brother of the martyr Plutarch, his first pupil. Origen, during his time as an instructor, lived the life of a devoted ascetic, sleeping little and eating meager meals. Yet his pursuit of knowledge and dedication to the clarification of Christian doctrine never waned. It is recorded that he completed secular philosophical studies under Ammonius Saccas. He delved into learning the Hebrew language, and although he met with some success, he never became fully proficient. He complemented intellectual growth with spiritual growth in the form of encouraging the martyrdom of his students. Perhaps his consummate (and possibly apocryphal) act was his self-castration, in response to Matthew 19:12. Around 213, Origen became acquainted with Ambrose of Alexandria (d.c. 250), whom he converted from Valentinianism to orthodoxy. Ambrose, a man of wealth, made a formal agreement with Origen to promulgate his writings, and all the subsequent works of Origen (except his sermons, which were not expressly prepared for publication) were dedicated to Ambrose. Origen was granted an impressive crew of stenographers and copyists that used the expensive materials at their command—also provided by the wealth of Ambrose—to record Origen's many works. In 213 or 214, Origen visited Arabia at the request of the prefect, who wished to have an interview with him; Origen accordingly spent a brief time in Petra, after which he returned to Alexandria. In the following year, a popular uprising at Alexandria caused the Roman Emperor Caracalla to let his soldiers plunder the city, shut the schools, and expel all foreigners. The latter measure caused Ambrose to take refuge in Caesarea, where he seems to have made his permanent home; and Origen, who felt that the turmoil hindered his activity as a teacher and imperiled his safety, left Egypt, apparently going with Ambrose to Caesarea, where he spent some time. Here, in conformity with local Jewish custom, Origen, although not ordained, preached and interpreted the scriptures at the request of Bishop Alexander of Jerusalem (d. 251) and Bishop Theoctistus of Caesarea (d.c. 257). When, however, the confusion in Alexandria subsided, Demetrius recalled Origen, probably in 216, in protest to his preaching while unordained. For the next 15 years, Origen worked on some of his best known and most important literary works, such as his books on the resurrection, commentaries on various books of the Hebrew Bible and what would become the New Testament, and his treatise On First Principles. In about 231 Origen was sent to Greece on an ecclesiastical mission to preach against heretics, and paid a visit to Caesarea, where he was heartily welcomed and was ordained a priest, so that no further cause for criticism might be given Demetrius. However, Demetrius, taking this act as an infringement of his rights, was furious, for not only was Origen under his jurisdiction, but, if Eastern sources may be believed, Demetrius had been the first to introduce Episcopal ordination in Egypt. The metropolitan accordingly convened a synod of bishops and presbyters which banished Origen from Alexandria, while a second synod declared his ordination invalid. The conclusions of these synods were not recognized in neighboring provinces. In 250 persecutions of the Church broke out under the Roman Emperor Decius, and this time Origen did not escape. He was imprisoned, tortured, and bound hand and foot to the block for days without yielding. Although eventually released, these tortures seem to have weakened him enough for him to succumb to death in about 254. A later legend, recounted by Jerome (c.342-419) in his De viris illustribus (chap. 54), placed his death and burial at the cathedral in Tyre, but to this little value can be attached. The works of Origen fall into four classes: 1) textual criticism, 2) exegesis, 3) systematic and apologetic theology, and 4) letters. Most of his works exist now only in Latin translation. A great deal of Origen's writings, including many commentaries and his books on the resurrection, are completely lost, known only by references made to them by later theologians. By far the most important work of Origen on textual criticism was the Hexapla, a comparative study of various translations of the Old Testament. The full text of the Hexapla is no longer extant. The work was arranged in six columns: one written in the original Hebrew, and one transliterated from Hebrew with Greek characters; the rest were popular Greek translations of the text, specifically the Aquila, Symmachus, Theodotion, and the Septuagint. Certain books of the Hebrew Bible were known to have up to three additional sources. Some portions were discovered in Milan indicating that at least some individual parts existed much longer than was previously thought. The Hexapla was referred to by later manuscripts, and thus it was known to later scholars. Also produced was an abbreviated version known as the Tetrapla, in which Origen placed only the translations in Greek in parallels. Origen's work in exegesis can be divided into three categories. He wrote scholia (singular, scholion; Greek: σχόλιον "comment," "lecture"), which were summaries of passages from the Hebrew Bible or Christian works meant to elucidate their obscure meanings. His homilies were regarded as elegant and were prepared on nearly the entire Bible, and many were recorded by his stenographers. Finally, he produced a series of "scientific" commentaries on various books of the Bible. Not all of Origen's commentaries are available—like so many of his other works, a great deal have been lost, and are known to have existed only because of their brief mention in later works (for instance, they are referenced by Jerome). However, some do remain, and give insight into Origen's theological system. He would often focus his commentaries on refuting Gnostic writers, interpreting the text in such a way as to invalidate the views of those he considered unorthodox. His commentary on the Gospel of John, for instance, was a direct attack against Valentinus (c.100-c.160) and his followers, who based theology on the idea that the physical world was inherently evil. Fragments of commentaries on Genesis, Psalms, Ezekiel, and Hosea, in addition to his commentary on John, are found in compilations, and summaries of his commentaries on Romans and Matthew can be found in the writings of Rufinus (c.345-410). Among the systematic and apologetic writings of Origen, mention should first be made of his work On First Principles, perhaps written for his more advanced pupils at Alexandria and probably composed between 212 and 215. It is extant only in the free translation of Rufinus, except for fragments of the third and fourth books preserved in the Philokalia, and smaller citations in Justinian's letter to Mennas. In the first book the author considers God, the Logos, the Holy Ghost, reason, and the angels; in the second, the world and man (including the incarnation of the Logos, the soul, free will, and eschatology); in the third, the doctrine of sin and redemption; and in the fourth, the Scriptures; the whole being concluded with a resume of the entire system. The work is noteworthy as the first endeavor to present Christianity as a complete theory of the universe, and it was designed to remove the difficulties felt by many Christians concerning the essential bases of their faith. Earlier in date than this treatise were the two books on the resurrection (now lost, a fate which has also befallen the two dialogues on the same theme) dedicated to Ambrose. After his removal to Caesarea, Origen wrote the works, still extant, On Prayer, On Martyrdom, and Against Celsus. The first of these was written shortly before 235 (or possibly before 230), and, after an introduction on the object, necessity, and advantage of prayer, it ends with an exegesis of the Lord's Prayer, concluding with remarks on the position, place, and attitude to be assumed during prayer, as well as on the classes of prayer. The persecution by Maximinus the Thracian, Roman Emperor from 235-238, was the occasion of the composition of the On Martyrdom, which is preserved in the Exhortation to Martyrdom. In it, Origen warns against any trifling with idolatry and emphasizes the duty of suffering martyrdom bravely, while in the second part he explains the meaning of martyrdom. The eight books against Celsus, properly called Contra Celsum, were written in 248 in reply to the polemic of that Middle Platonist pagan philosopher against Christianity. Eusebius had a collection of more than one hundred letters of Origen, and the list of Jerome speaks of several books of his epistles. Except for a few fragments, only a short letter to Gregory Thaumaturgus (c.213-c.270) and the epistle to Sextus Julius Africanus (defending the authenticity of the Greek additions to the Book of Daniel) have been preserved. Rufinus documents forgeries attributed to Origen in his work De adulteratione librorum Origenis. The Dialogus de recta in Deum fide, the Philosophumena of Hippolytus (d. 235), and the Commentary on Job by Julian of Halicarnassus (d. after 518) have also been ascribed to him. Origen, trained in the school of Clement of Alexandria and by his father, was essentially a Platonist with occasional traces of Stoic philosophy. He was thus a pronounced idealist, regarding all things temporal and material as insignificant and indifferent, the only real and eternal things being comprised in the idea. He therefore regarded as the purely ideal center of this spiritual and eternal world, God, the pure reason, whose creative powers call into being the world with matter as the necessary substratum. He was also, however, a rigid adherent of the Bible, making no statement without adducing some Scriptural basis. To him the Bible was divinely inspired, as was proved both by the fulfillment of prophecy and by the immediate impression which the Scriptures made on those who read them. Since the divine Logos spoke in the Scriptures, they were an organic whole and on every occasion he combated the Gnostic tenet of the inferiority of the Old Testament. Origen stressed the three means of understanding the Scriptures: literal, moral, and mystical. In this we see three ways that Origen impacted Christian thought. First, he was proficient in his exegetical studies, thus being quite adept in making reference to the literal implications of the Bible. Second, his homilies and commentaries were celebrated, and thus his views on morality were promulgated. Third, Origen's grasp of the Scriptures and knowledge of Platonist philosophy also granted him the ability to elucidate complicated passages in a mystical sense. It is a detriment to Origen's work that throughout the centuries he was best known (and condemned) for his more unorthodox ideas. In discussing these, it is fair to consider that Origen wrote and thought in a time that predated the great controversies of the Church. The orthodox understandings of the Trinity and Christology had not yet been formulated by intervening councils, and thus Origen's discussion of the matters was not guided by what would become accepted as church dogma. 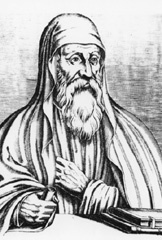 Origen was a speculative theologian. In formulating theological ideas he did not always insist on their truth; rather, he stressed that he was merely suggesting possibilities. One idea that he did promote was the idea of the preexistence of souls. In his own time, it was not deemed heretical to promote this idea, and indeed it was useful in refuting those who were branded heretics (Marcionites, for instance). The idea concluded that human souls exist prior to their connection to earthly forms, and that this existence is in the divine realm in the presence of God. Later theologians would dismiss this idea. Origen also speculated on the life of the stars, and wondered whether heavenly bodies possessed souls. Perhaps the most widely known—and subsequently widely denounced—idea proposed by Origen is that of apokatastasis, or universal restoration. Origen, for many years an educator by profession, likened the Creator to a divine teacher. Being divine, this teacher is unable to fail in instructing its students, and thus Origen concluded that in time all students (that is, all creation) will be restored to their former status, perfect and in the midst of God. Hellfire is not eternal, and it is a purifying fire that consumes and cleanses evil from sinners and restores them eventually. This restoration includes all souls—not just humanity but demons and Satan, although Origen did not suggest that this restoration will occur in the near future. This was how he addressed the Greek philosopher Celsus' opposition to Christianity that had been presented in the second century on the ground that it taught eternal punishment by fire. This idea of Origen was eventually condemned alongside other heretical teachings. In Origen the Christian Church had its first theologian in the highest sense of the term. For quite some time he was therefore counted as one of the most important Church Fathers and his works were widely used in the Church. His exegetical method was standard of the School of Alexandria, and the Origenists were an important party in the fourth-century debates on Arianism. He contributed to the thought of Christian luminaries like Athanasius (c.296-373), Ambrose (c.339-397), Jerome (c.342-419), and the Cappadocian Fathers. Also, to the multitude to whom his instruction was beyond grasp, he left mediating images and symbols and contributed to the growing language of Christian mysticism. In the monasteries of the Greeks, his influence lived on and the spiritual father of Greek monasticism was that same Origen at whose name the monks had shuddered. If anyone does not anathematize Arius, Eunomius, Macedonius, Apollinaris, Nestorius, Eutyches and Origen, as well as their impious writings, as also all other heretics already condemned and anathematized by the Holy Catholic and Apostolic Church, and by the aforesaid four Holy Synods and [if anyone does not equally anathematize] all those who have held and hold or who in their impiety persist in holding to the end the same opinion as those heretics just mentioned: let him be anathema. As a result of this condemnation, the Roman Catholic Church does not regard Origen as a Church Father, while some in the Orthodox Church do if with reservations and qualifications. In any event, the Orthodox do not draw up official lists of Church Fathers, and neither Church regards Origen as a saint. In centuries much later, however, his work has been revisited by more sympathetic eyes, and his thought has been recognized as formative for the development of Christian theology. The historian Philip Schaff (1819-1893) sums up Origen's contribution to Christianity, by saying that in spite of his condemnation he "did more than all his enemies combined to advance the cause of sacred learning, to refute and convert heathens and heretics, and to make the church respected in the eyes of the world." Origen's hope for universal salvation and his tolerant attitude towards those who have different opinions would be more acceptable today when Celsus' criticism of Christianity may tend to be more seriously reflected upon and ecumenism is more common-sensically practiced. It may be that as early as in the third century before church dogma was officially formulated he already had an insight into today's situation. ↑ Origen, Contra Celsus, book IV, chapters 13, 21, 23. Retrieved January 27, 2009. ↑ Paul Halsall, "Medieval Sourcebook: Fifth Ecumenical Council: Constantinople II, 553." Retrieved June 1, 2007. ↑ Philip Schaff, History of the Christian Church, Volume II: Ante-Nicene Christianity. A.D. 100-325. Retrieved January 27, 2009. Harris, Carl Vernon. Origen of Alexandria's Interpretation of the Teacher's Function in the Early Christian Hierarchy and Community. American Press, 1966. Herr, Hugh T. The First Systematic Theologian: Origen of Alexandria. Princeton Theological Seminary, 1958. Origen of Alexandria - EarlyChurch.org.uk. This page was last modified on 4 January 2019, at 16:41.